Olay Moisturizing Lotion replenishes is formulated with ingredients to instantly restore and maintain soft and smooth skin. Absorbs quickly and significantly improves moisturization right from the first application. It gives incredibly soft and smooth skin and increase skin suppleness. Apply on face and neck twice a day for best results. It comes in various sizes of bottles from small to big packaging. I bought 75 ml package which is small and handy. It comes in a cute white sturdy plastic bottle with a tight pressed lid and a black screw open cap, the inner lid has a small hole to dispense the lotion. It is travel friendly. The colour of the lotion is pale pink and you may assume it just a plain white lotion, but is ia pale pink lotion. The texture is light weight and non greasy. It smells mild and has a pleasant flower scent. I started using it on my dry cheeks especially. Actually I slathered this lotion on my face to get rid of the dry patches as soon as possible. This lotion sinks into the skin in no time, I mean it gets absorbed into the skin super past and leaves soft and supple skin immediately. It makes skin even and softens the dry patches within 2 days. I thought this lotion might look very greasy on my face, but to my surprise it looked semi matte and gave a healthy glow to my skin. The fragrance is also mild and not overpowering. 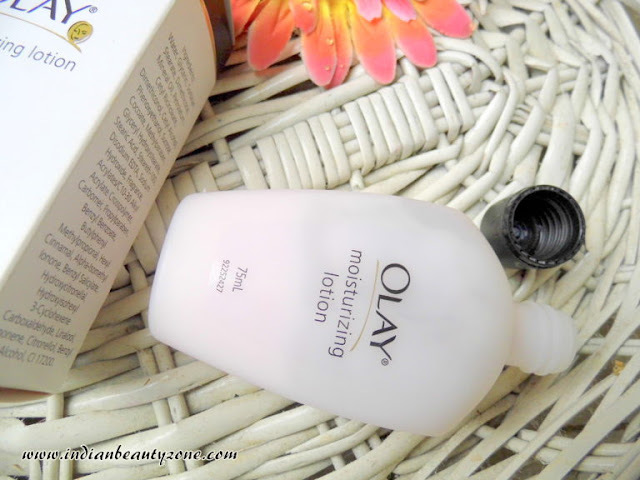 I didn't have any allergy or breakout problem with this Olay Moisturizing Lotion. It didn't clog the pores and hence it is light weight lotion and didn't make my skin oily. It hydrates the skin well and I feel soft skin for long time during winter. When the summer knocked down my skin again the lotion looked bit oilier on my skin because my skin itself started to produce enough oil. So, I stopped using this lotion and I have half bottle of this lotion left with me still. In my opinion this lotion can be used under makeup also, it can be a good moisturizer for normal to dry skin people all through the year, may be you need to set the quantity for summer less and more for the winter. For oily skin people, you can use it during dry winter to keep your skin well hydrated and smooth. Available in all sizes for your choice. 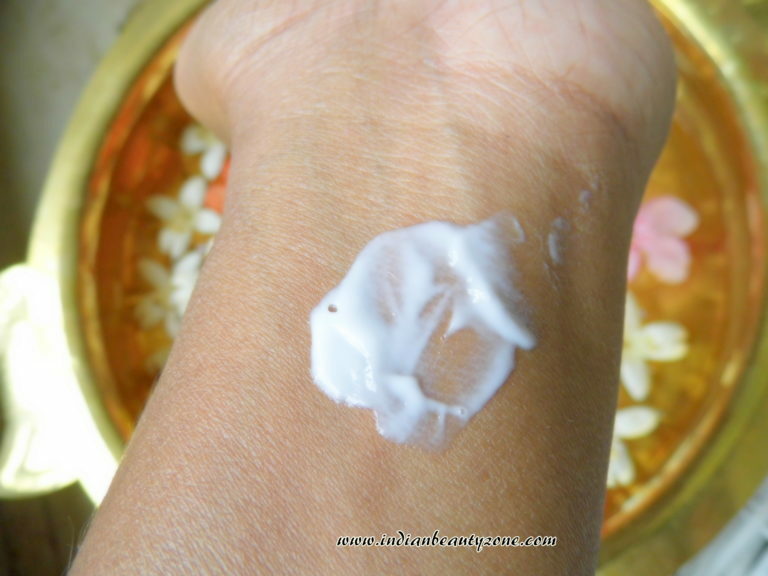 can be a common moisturizer for the whole family. Doesn't break out the skin, suitable for sensitive skin too. Non greasy and gives semi matte look. Not for very dry skin.